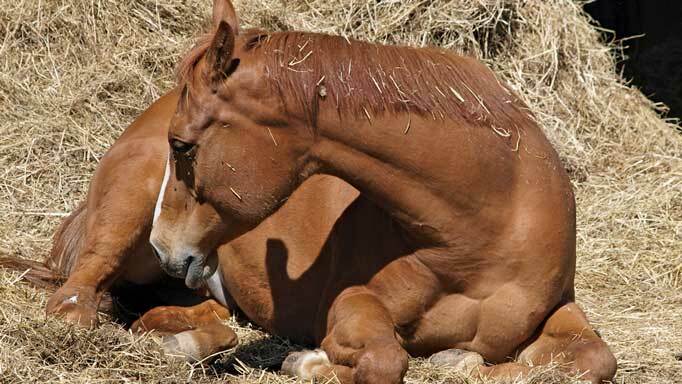 Could your horse benefit from a visit to the equine chiropractor? Find out which issues this therapy can help. Not long ago, providing chiropractic treatments for horses was considered unusual at the very least, or even downright quackery by many horse owners and the veterinary community. Over the past 20 years or so, however, chiropractic has gained more mainstream acceptance and now many horses, performance athletes or otherwise, are reaping the benefits of this manual/manipulative therapy. The principles of equine chiropractic are the same as they are for humans. “Chiropractic is concerned with, and especially capable of, solving neuromuscular biomechanical lesions – places where the joints of the spine are abnormally restricted, not moving through their normal range of motion. It looks normal and, to some extent, may feel normal, but it’s not moving as it should,” said Dr. Art Ortenburger, associate professor of Large Animal Surgery & Integrative Medicine at the Atlantic Veterinary College in Charlottetown, P.E.I., who is also a certified animal chiropractor. Sometimes lesions or restrictions interfere with the continual flow of information through the central nervous system, resulting in pain, inflammation in surrounding tissue and even neurologic consequences. 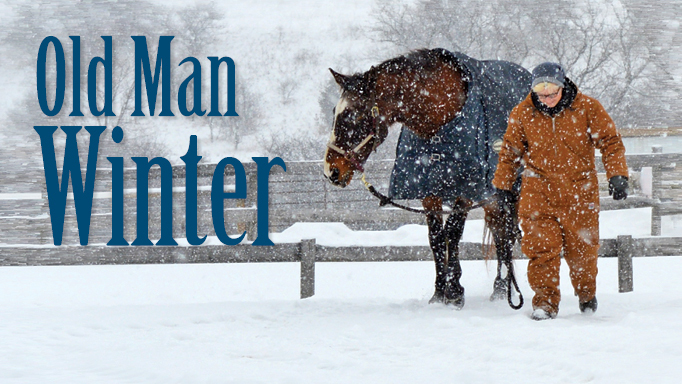 When Dr. Ortenburger first arrives on a call, he wants to hear the horse’s history from the people who deal with the animal most – the owner, trainer, barn workers. What have they noticed daily and even in the last weeks or months? 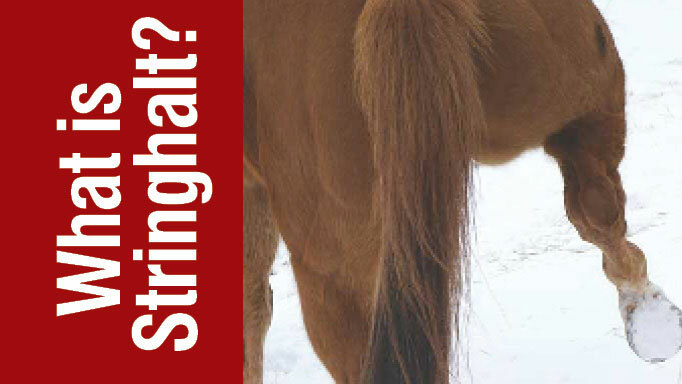 Because chiropractors are often called in after vets and farriers have examined the horse and some, if not many, treatments have already been tried, Dr. Ortenburger wants to hear about those too. Dr. Ortenburger then begins to palpate the horse, feeling whether the joints have a full range of movement, partial range or if they don’t move at all. Based on all the information gleaned to this point, he will begin “adjustments” using extremely controlled, short, sharp thrusts with his hands that are the cornerstone of chiropractic treatment. “It’s very fast, as fast as we can move our arms and hands. It’s specific in its direction and in contact points. The bones in my hand are going to be in contact with a very specific part of a bone in the horse. It’s forcing the spinal joint to move in the direction and in the range it is supposed to go if it was normal,” he said. Horses remain standing for the treatment. Depending on what area of the horse a chiropractor is treating and the size of the animal, the practitioner might stand on ‘bales’ that offer a better angle for adjustments. Even if reluctant at first, most horses settle into the adjustments. Seemingly, they realize the pain and muscle spasms associated with the restriction have been eliminated or reduced. Many become quite relaxed, even tired, following a treatment, while others are quite playful. Rarely, horses may become sore afterward, but the pain soon wears off. The number of treatments required depends on the problem. In some cases, one treatment will suffice, but for others, a round of adjustments might be necessary. Maintenance treatments are also sometimes prescribed – i.e. 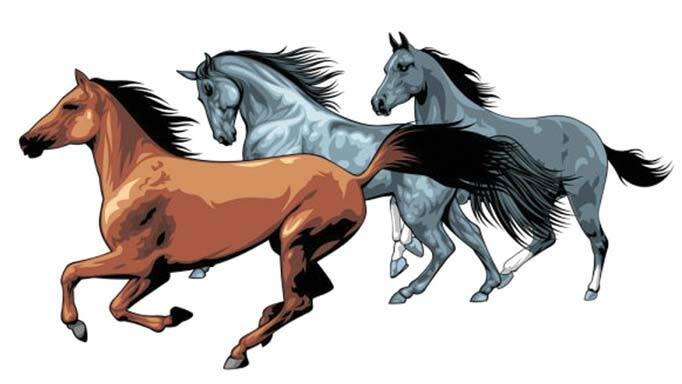 to optimize performance horses or keeping elderly horses mobile. Dr. Ortenburger finds that many of his calls are for cervical lesions in the mid-neck area. Removing restrictions in the affected vertebrae frees up the neck to allow normal movement left and right, up and down. Most commonly, though, he works on problems in the sacroiliac joint. What Dr. Ortenburger dubs “an interesting, odd joint,” the sacroiliac is the top joint of the leg. The spinal column runs through the top of the pelvis where five vertebrae fuse to form the sacrum. This bone attaches to both the spine and the pelvis and transfers the stresses of the hind limb as they propel the horse forward through to the spine and body. The sacroiliac joint also supports the weight of the torso. When questioned whether the work we humans ask horses to do causes at least some of horses’ spinal restrictions, he agrees that is likely true, although to be absolutely sure, he said he would have to examine horses in the wild that don’t experience strains caused by racing in circles, jumping, collection and the multitude of other activities that aren’t inherently natural to horses. While most of his patients are performance horses or those that are in some type of work, he did say that young horses he has witnessed at pasture that have yet to undergo training, do tend to be mostly free of spinal lesions. A 2011 study conducted by Washington State University’s College of Veterinary Medicine found that, despite public demand, vets are tentative about including complementary/alternative medicine (which included chiropractic) in their practice due, in part, to lack of education. Yet, the study also indicated that courses offering alternative medicine in North American veterinary schools had increased about 30 per cent in the past decade. But chiropractic is a considerably less open system than other alternative medicines. In North America, only two kinds of people can legally practice chiropractic on animals – doctors of veterinary medicine and doctors of chiropractic. To attain certification, they must receive extensive post-doctoral training and follow up with continuing education to maintain qualifications. Both chiropractors and vets are educated together at one of four North American schools that offer certification through the American and international veterinary chiropractic associations. The schools are located in Wisconsin, Kansas, Texas and Brantford, Ontario. There is also a facility in Germany. The vets, who are experts in animal medicine, learn the basics of chiropractic therapy, while the chiropractors acquire training in animal anatomy, biomechanics, veterinary pathology, among a host of other subjects. “They have to learn how a horse’s spine is different from a human spine, and that isn’t very difficult to learn. They have to learn about horse diseases and which conditions they shouldn’t have anything to do with,” said Dr. Ortenburger, who attended Options for Animals in Kansas City in 2006-2007. He has “considerable respect” for the dozens of human chiropractors now certified to work on animals that he knows. And he doesn’t have a problem with them doing so, as long as the particular provincial practice act is observed. Horse owners should be aware that those who call themselves equine chiropractors, but are not certified, are not legally allowed to practice chiropractic on animals. The provincial veterinary and chiropractic practice acts “speak very specifically about this,” Dr. Ortenburger noted. “It’s a therapy that, done badly, can do harm. Done correctly, I won’t say it can’t do harm, but it’s extremely unlikely. That’s the reason for restricting its use to trained professionals,” he added. Just after receiving his certification, he led the Atlantic Veterinary College in becoming the first veterinary school in Canada to offer chiropractic training for students in 2009. This July, the college opened its doors to a handful of students from the four other Canadian veterinary schools. Alongside AVC students, they studied acupuncture and chiropractic under one of the institution’s main emphasis of specialization called integrative medicine, a relatively new medical approach that combines the use of conventional medicine with complementary and (so-called) alternative therapies. A 2008 survey conducted by the American Association of Equine Practitioners indicated that 20 per cent of equine practitioners perform some form of complementary medicine modality themselves (mainly acupuncture). Eighty per cent refer cases to veterinarians who have expertise in complementary therapies. So, there is some indication the veterinary community is becoming more accepting. Human chiropractic is pretty much considered mainstream nowadays, but acceptance was hard fought for and a long time in coming. Will animal chiropractic ever be considered mainstream? There still remains a little residual scepticism in the veterinary community. Much of the controversy is related to the fact that chiropractic and other complementary therapies have not faced the rigorous scientific testing that conventional medicine has. While some research has been done, more is definitely required. But given that it is such a highly specialized field, studies are only undertaken by a handful of individuals at a few academic centres and occasionally at large referral hospitals where funding opportunities, infrastructure and personnel are more readily available, as are valuable direct links to the biomedical industry. Even then, research projects are few and far between. The most important factor in the usefulness of chiropractic therapy is not the nature of chiropractic as a profession, but the skill, experience and good sense of the particular chiropractor whose hands are on your horse. It’s important to choose the therapist with care and ask for references if you are unsure.